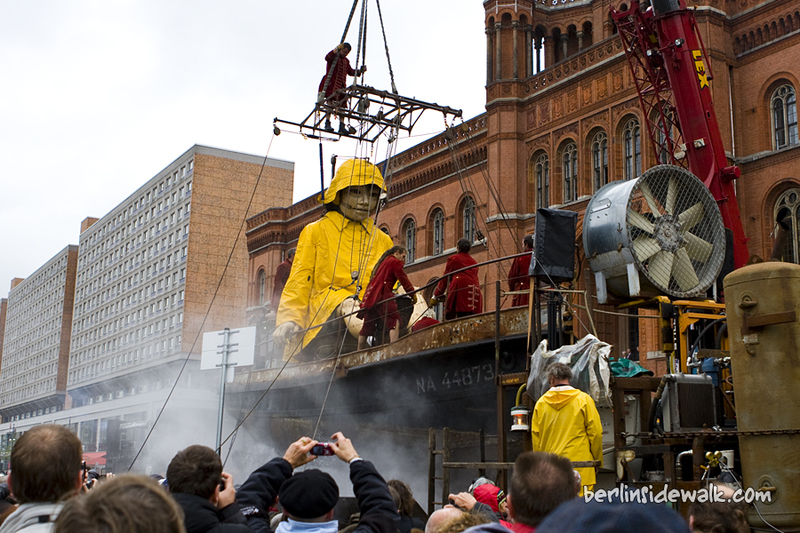 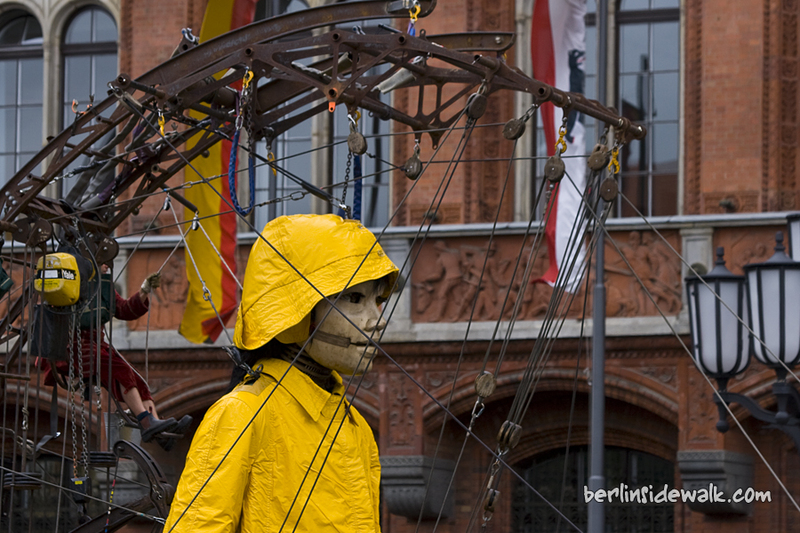 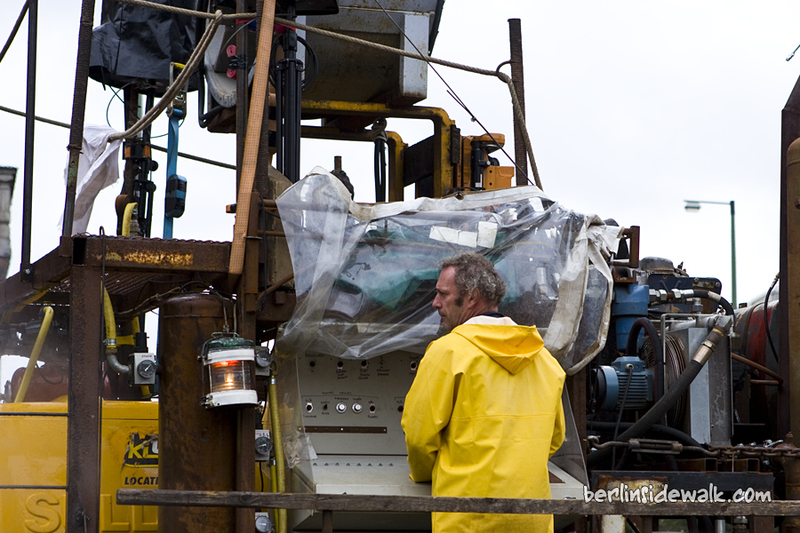 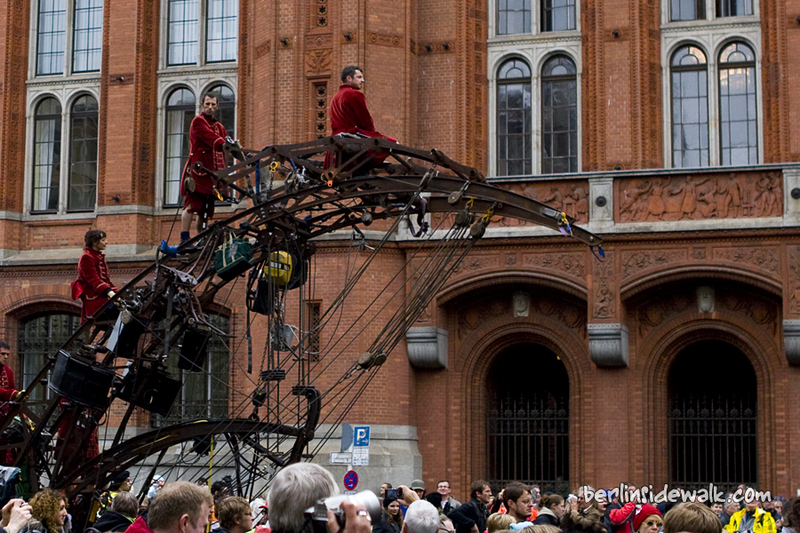 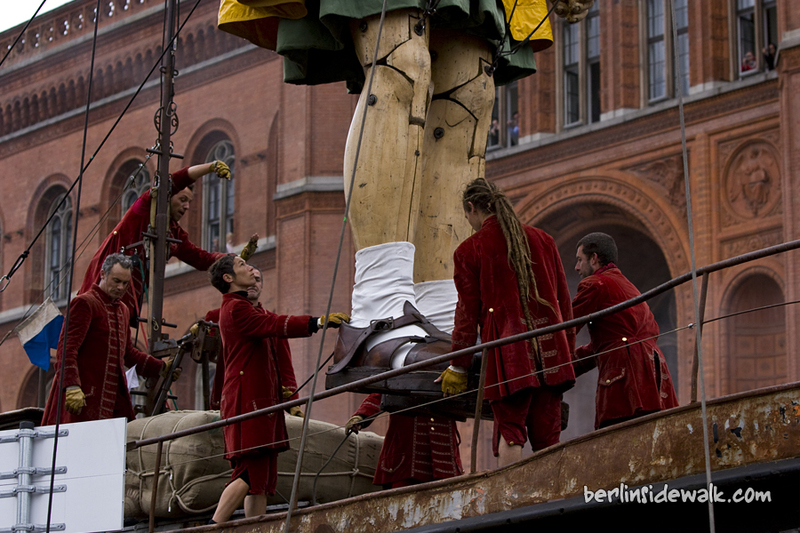 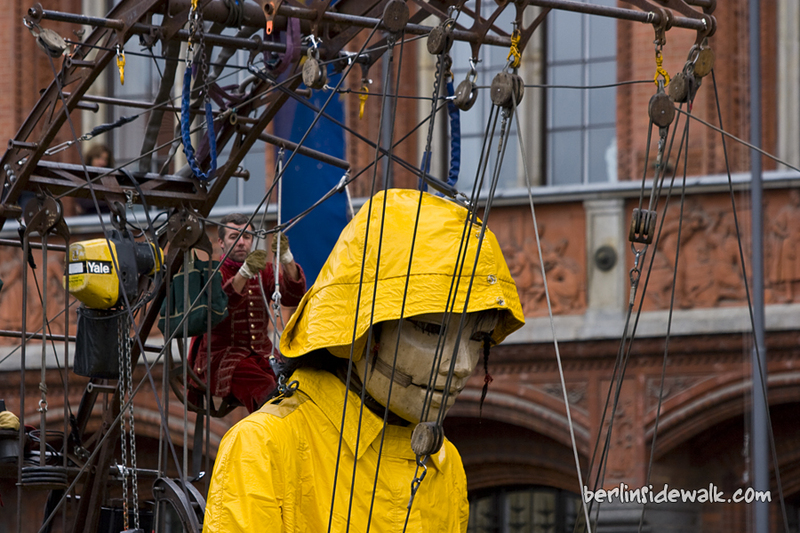 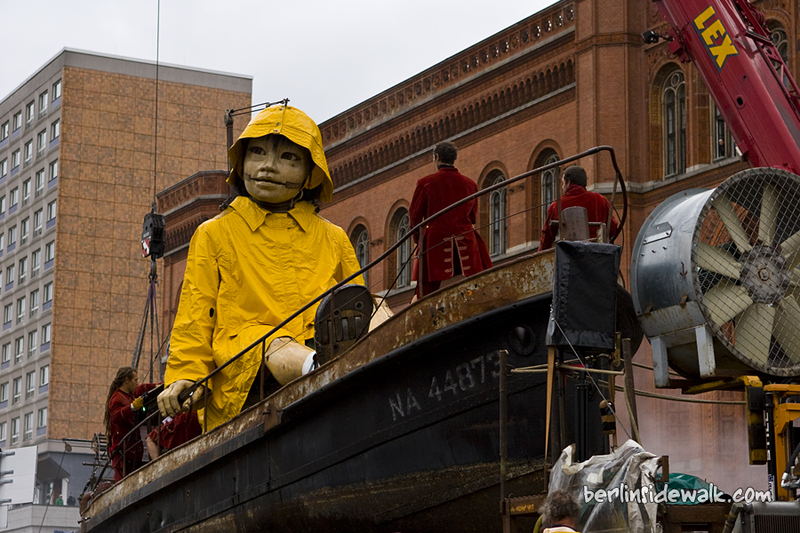 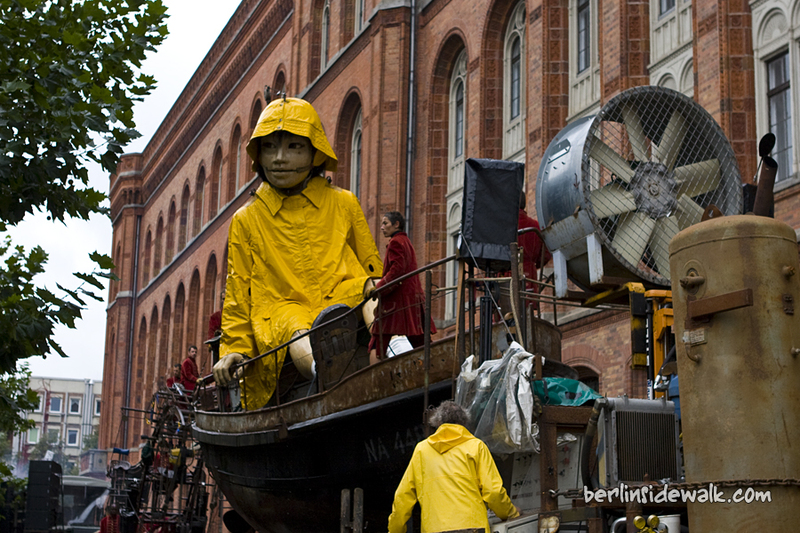 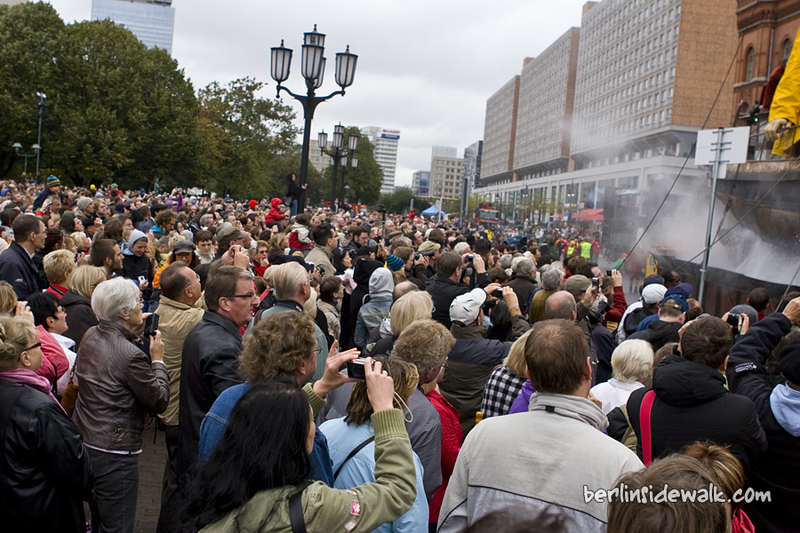 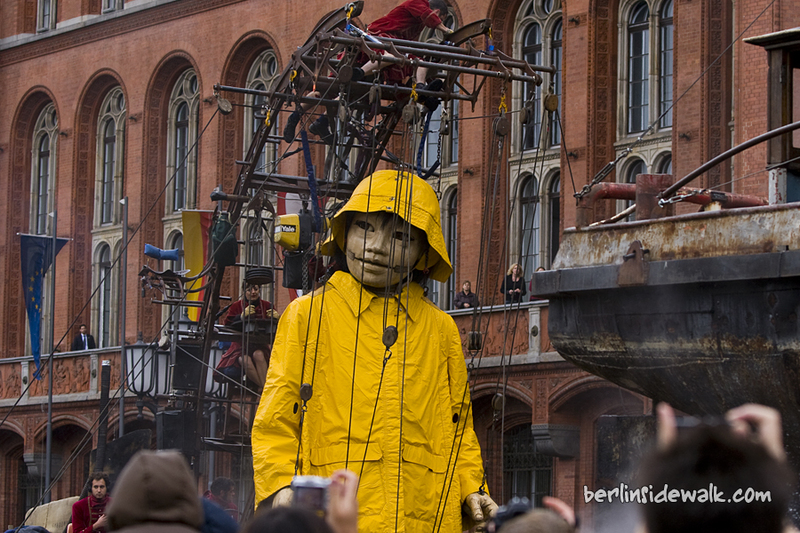 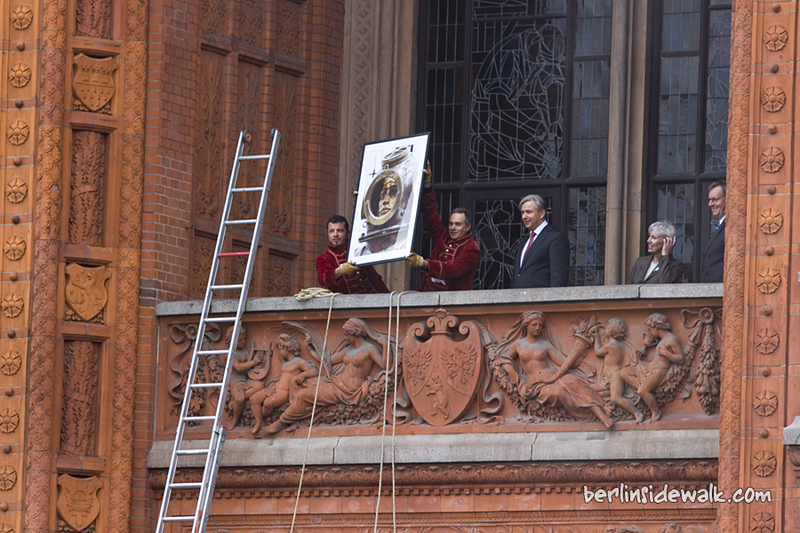 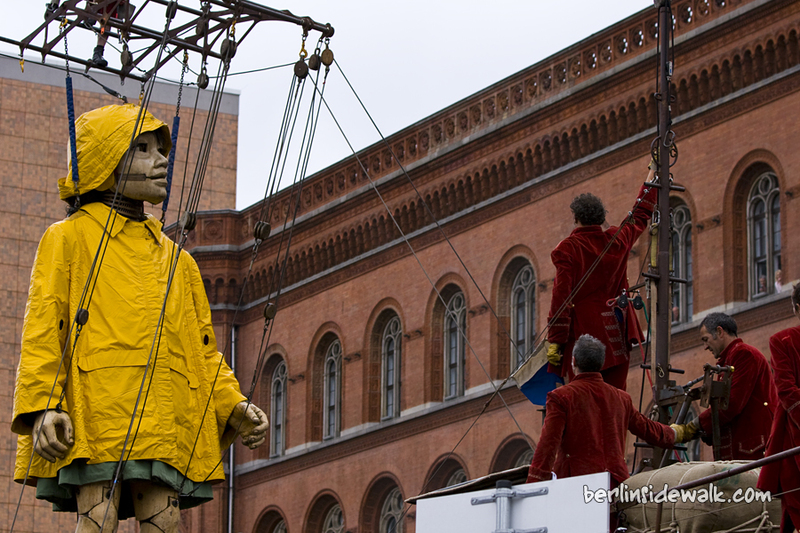 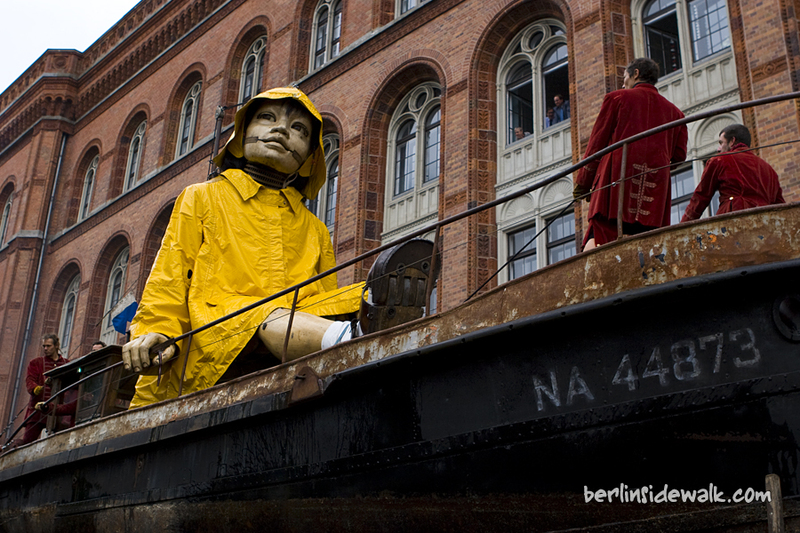 during the next 3 days, the City of Berlin will be the stage for a “giant” open-air theatre spectacle. 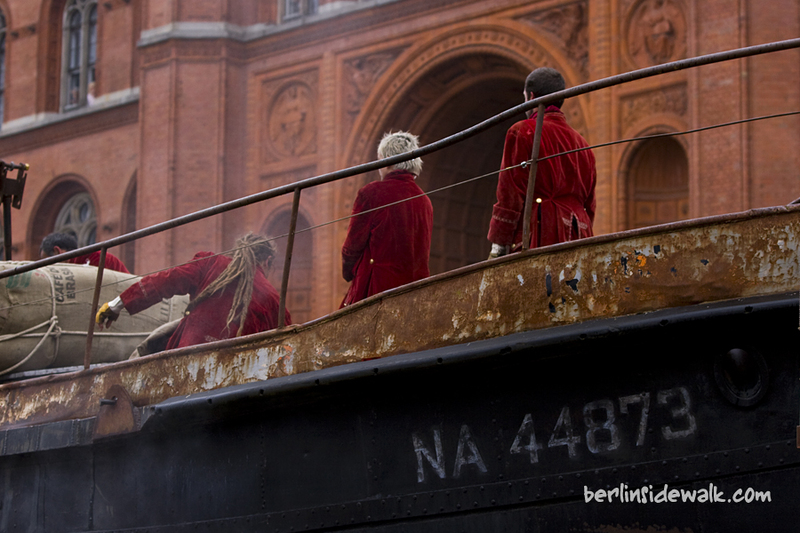 The fairy tale for Berlin begins, the story about losing and finding relatives was only written for Berlin by Jean Luc Courcoult, related to the 20th anniversary of the Fall of the Berlin Wall. 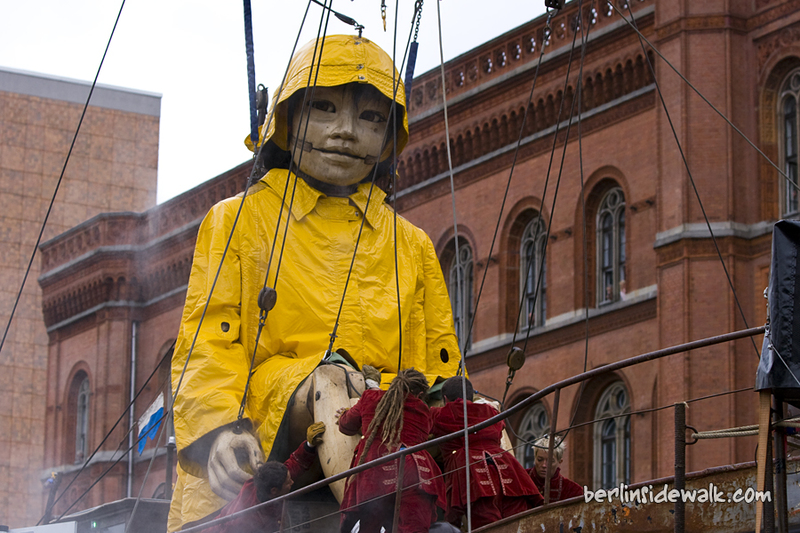 Today the Little Giantess will investigate the surrounding area of the Rotes Rathaus, from the Bebelplatz as far as the Gendarmenmarkt and the Lustgarten with wide-eyed curiosity.